"Most impressive of all, the passion of the three performers is infectious. Forcione’s rise to international recognition is a tale of talent, determination, passion and a great deal of adventures along the way. The result? A cocktail of dazzling virtuosity, ferocious rhythms and burning spiritual aspiration with a touch of humour. His charismatic stage personality and his ability to wring emotion out of every note, to cross all cultural barriers, have made him one of Europe’s most sought after performers, constantly evolving and finding new spiritual heights. The pieces performed by the trio are predominantly Forcione’s own compositions “with enough technical wizardry to satisfy even the most demanding virtuosity junkie, but his across the board appeal is reflected in a broad-ranging (and often hilarious) mix which takes in jazz, folk, flamenco, ethnic music, pop, rock, classical, and just about everything that comes to mind” (The List). Matheus Nova - ( Electric & acoustic Bass ) is very popular in the Latin and London music circles and is recognised for his ability to ‘design’ astonishing bass lines. 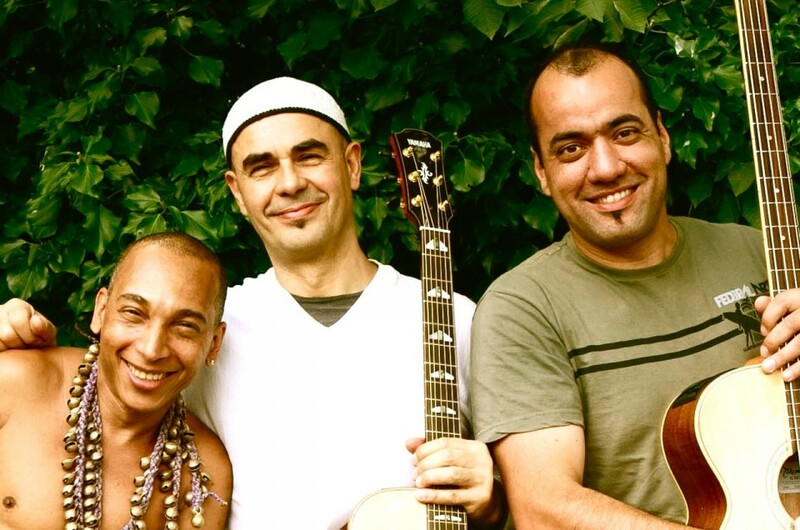 It has been said of him that he has the ability to “transform folkloric into “funkloric”.” Matheus has performed with many groups, including the Brazilian Samba Divas Elza Soares and Alcione.